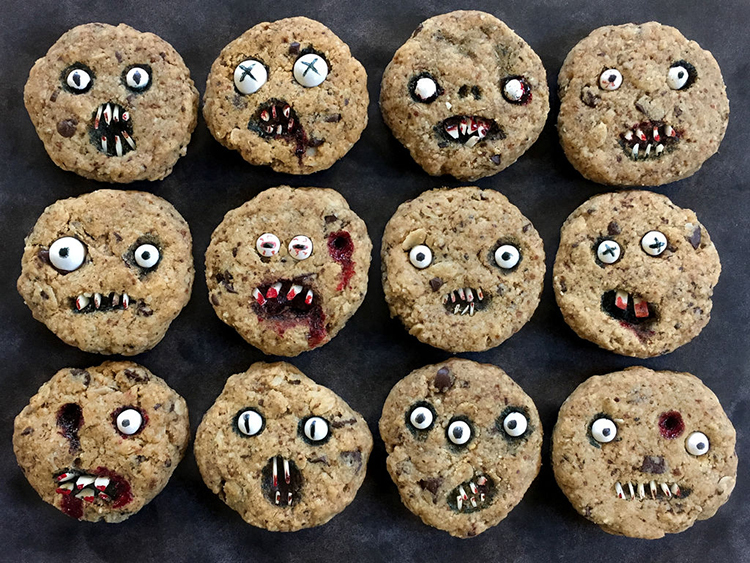 Posts tagged "Chocolate Chip Cookies For Halloween"
Check out this interesting recipe of chocolate chips cookie for this Halloween season, Recipe is created by Jennifer Wold of Clever Wren Cakes & Sweets. Jen used large and small sugar pearls, slivers of almonds, and red gel food coloring to bring her monster cookies to life. The full tutorial is available to view on Instructables.